That is the latest hypothesis coming from our friends at P4T. There it very much looks like there were two planes they departed, all the radars seem to show it quite inadvertently, one from gate D26, the other from the gates 9 or 11. The plane which departed the gate 9 or 11 at ~12:12:29 UTC very much like seems to have beared our FDR unlike the other plane considered by the OCT. This is primarily based on Warrens RO coordinate outputs (yes, the same one's they claimed were invalid a week ago) for the end of flight 11 (LAX to IAD) and beginning of flight 12 (IAD to LAX which impacted the Pentagon). 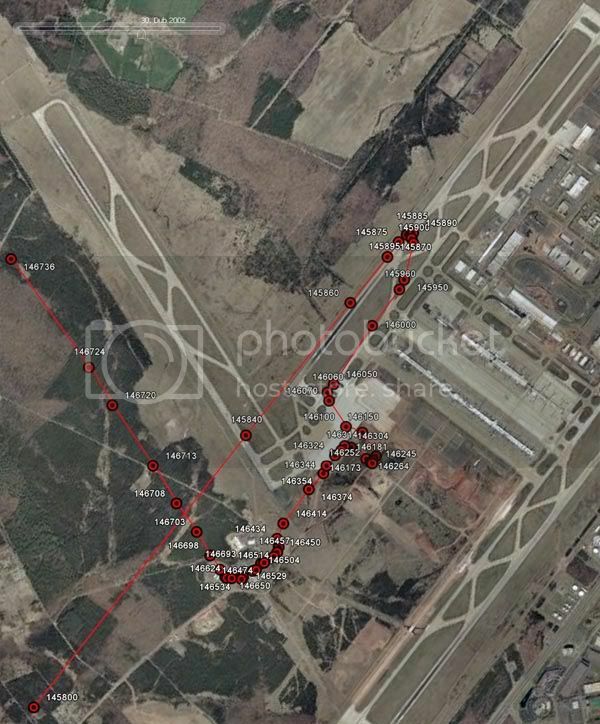 Using this data pattern as a reference point, tumetuestumefaisdubien uses a particular segment of data at the end of flight 11 and his very skillful use of Google Earth to come up with this conclusion. With this in hand and a number of other misunderstood data points, they are off and running with a plane (which the FDR is from) departing from gate D9 or D11 with AAL77 loaded with passengers departing from gate D26 and continuing on to ... Area 51??? However, this time tumetuestumefaisdubien extends an invitation. How can I resist such an invitation? So to replicate his 'results', I had to first consider that he was using mutually exclusive data from 4 different scenarios, the end of flight 11, idle at gate at the end of flight 11, idle at the gate from the beginning of flight 12, and the first data point from the beginning of flight 12. So there are 3 distinct power interruptions involved, lasting from seconds, to hours in duration. Since the conditions of the gate idles are unknown and stationary, they are not satisfactory for this type of study since there are no reference points with which to evaluate them (unless you assume they are at gate D26 which would defeat the purpose of the study). 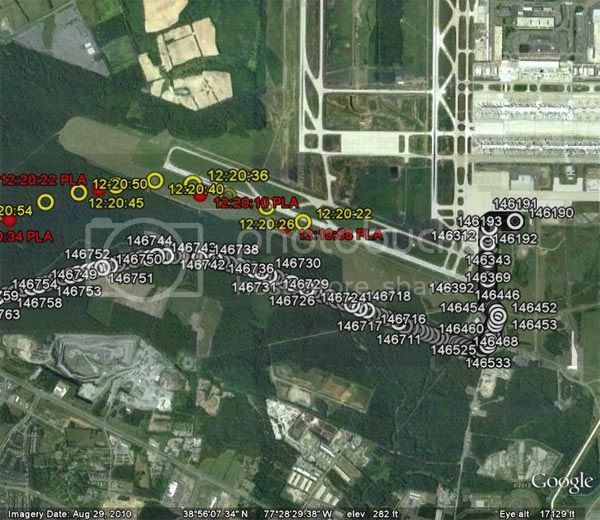 Also, it is unknown what conditions might have occurred between the end of flight 11 and the beginning of flight 12, so each segment of the data has to be treated as a unique data set (3 power interruptions between them). So the point that marks the end of flight 11 is subframe 146150, NOT subframe 146179 or 146181 (which marks the beginning of flight 12). Many JREF readers are pilots and engineers. You understand that formulating a hypothesis from one data point is sheer lunacy. For that reason, I will be working with ALL of the available data points for each flight. As already discussed, and not in contention, the raw coordinate data is shifted due to the INS inaccuracies. 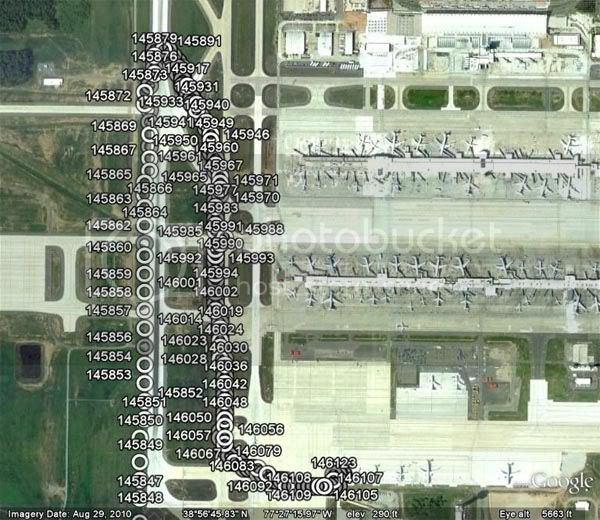 Clearly, the data does not align with any of the taxiways or other ground features that would be expected for an accurate representation of the planes course to the gate. So instead of moving one point up to match a known feature, I moved all of the data points so that the data point used by tumetuestumefaisdubien (145880) aligns with the turn point he used (0.0075N, 0.0004E). Wow, sure enough the plane turns into the gate concourse on the north side of D, not the south side as would be expected for gate D26! However, there are several problems with making any assumptions from this. 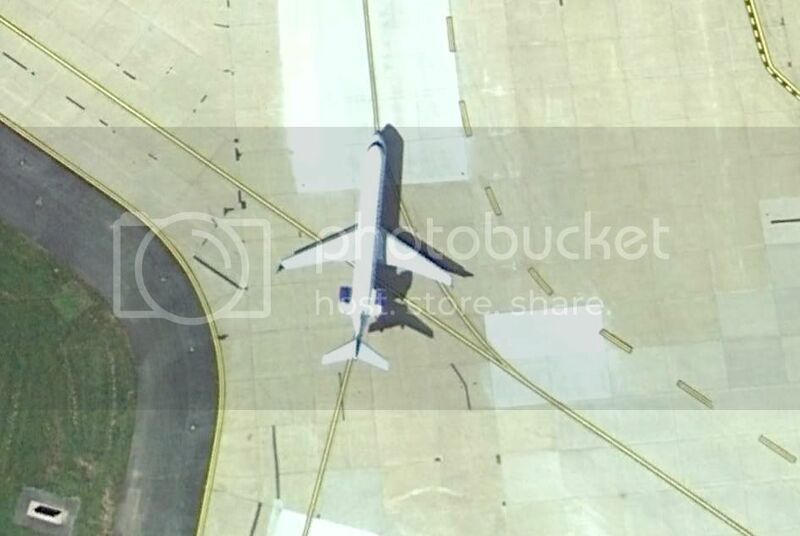 First, we do not know if the LAX-IAD flight actually docked at D26. It could have gone to another gate for all that any of us know at this point. However, the data indicates a slight north turn at the end which seems to indicate it was on the south side and turned north to dock. But all of this aside, it really does not matter because a closer look at the INS performance along the taxi back to the terminal indicates that it lost its 'lock'. The coordinates start going all over the place with the plane going off into the grass for segments and making its turn to the terminal through the grass. So without some known reference point with which to gauge the changes in coordinates it would be impossible to determine from it what gate it parked at. Further, the INS is not designed to give accurate information based on non-flight parameters, but rather corrects itself on in-flight parameters (pre-GPS). To see this in action, I performed similar analysis on the beginning of flight 12 (AAL77) beginning with subframe 146181. Another weird thing is that the IAD radar record doesn't contain any squawk 6653 throughout the whole record, although the 84Rades looks like there is the 6653 squawk quite consistently, read by multiple NEADS radars very soon after the departure, the PLA radar appears to be able to read the plane already at MC100. Contrary to this assertion, IAD was indeed "squawking" 6553, not 6653, and is clearly indicated by both IAD (yellow markers) and PLA (RADES) radars. 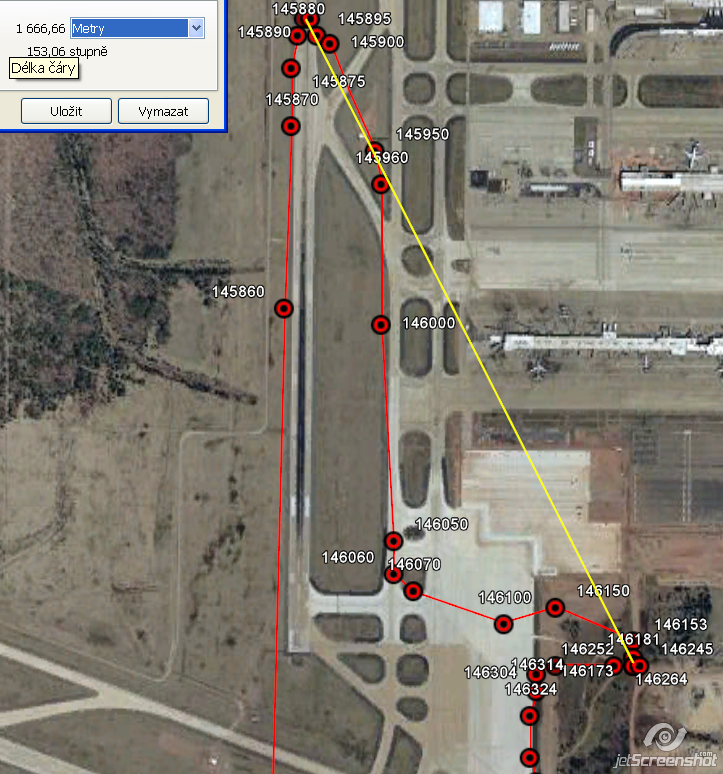 This is reflected by the clearance delivered to the aircraft and by the ATC flight strip. Also, the activities recorded by the IAD ATC audio recordings match with the maneuvers observed by radar and the Warren RO. 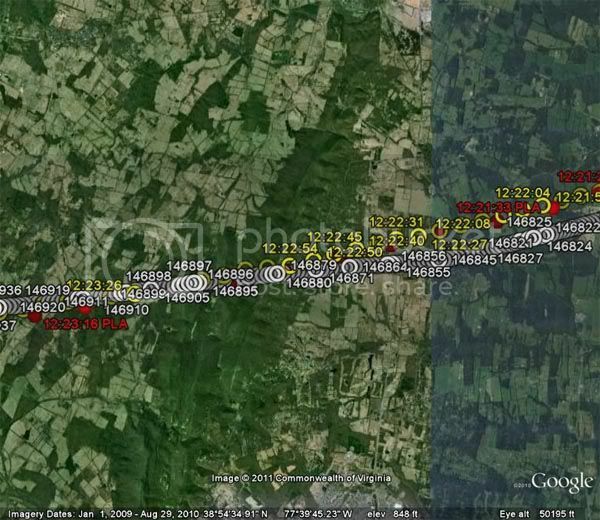 With solid radar trajectory available, I aligned the data to match the actual recorded path. The RO coordinate data is aligned with the radar path so that it matches the turn maneuver immediately after take-off. 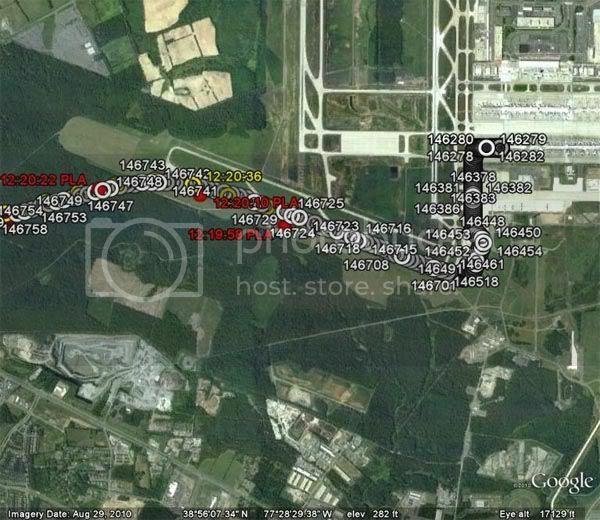 A closer look at the terminal location does indicate a change from the end of flight 11 to the south side of the terminal, but again the data reflects a significant degree of uncertainty while taxiing to runway 30. So to reach ANY positional conclusions base on this data would be foolish. Of course once the plane is airborne, it will begin making the necessary corrections to the INS based on in-flight inputs. In this image of the raw data plot, it starts making these correction at around 12:22:06 and 12:23:13 has aligned itself to the point where the RO coordinates match the IAD and PLA radar path extremely well. As can be noted in the 330 degree turn just before the Pentagon impact, rapid changes in flight parameters do impact this correction and the INS has to make adjustments. In conclusion, a reasoned study of the Warren RO does not indicate which gate the plane departed from. It is much too dynamic a system and designed for in-flight use, not taxiing on a runway. If anything, it serves to once again validate that the plane which took off from Dulles was indeed AAL77 and that it did terminate its flight at the Pentagon. Last edited by BCR; 26th February 2011 at 10:23 AM. John, I have a headache from following all of that. Why don't we just summarize and say (as usual) the "twoofer" is full of crap. Most of this new P4T stuff seems to be coming from a feeble effort to discredit Warren and Legge. Their solid analysis of the FDR combined with the available radar data has pretty much discredited P4T and CIT, leaving them crawling around in desperation for a reason to justify their existence. However, all they are doing is destroying whatever credibility they might have remaining in the 'truth movement'. For the rest of the world they lost all of it years ago. I just love how adept the NWO are, at messing with the twoofers. I ran one single vector to get the error vector. The vector I used was from the turn in the taxi out, 77 had to pass over the spot to take off. We know where 77 took off, the taxi route is a line 77 followed. I ran a vector from the data to the exact location. 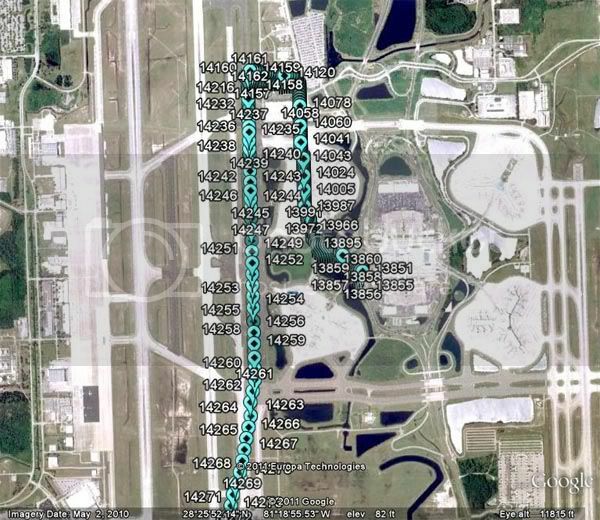 Taking this vector from where 77 woke up, it shows 77 woke up after being pushed back from Gate D26. These clowns looked up the departure Gate and everything. 911 truth debunk themselves and fail to comprehend. I did cheat and enlarged GE to see the taxi line. Guess where 77 had to taxi, the "exact" spot? This turn point shows up in the data, run a vector from the data to this point. For all data around this point, there should be relative accuracy. They make up lies about another plane; when will they have the guts to run these delusion past the loved ones? How can Balsamo be so dumb? 11.2gs come to mind. Thanks BCR, I appreciate the time and effort that went into the OP. I know a few people who still buy the 9-11 CT's, I am chipping away at them slowly and resources like this are really useful for me. You are welcome deeper. It is not as much work as it seems. Excel does all the work and then I just import the files it produces into GE. It is clear that Tumescent has failed to read the FDR paper with the care it deserves. If he did he would have seen the following remark regarding position errors: "It was noticed that the errors became larger while the plane was taxiing toward its parking spot, at which time it would presumably be too low to receive DME and VOR correcting signals." One can easily deduce that locating the gate with sufficient accuracy would be out of the question. The size of the error on departure from Dulles was very large and should have woken him up. More pretty pictures. Just what we needed,more truther conceptual art. And these guys wonder why no one takes them seriously any more. Can INS realign itself in flight? Not according to the man who has actual flight time in N644AA. I don't think Cpt'n Bob gets it. It is not a matter of whether he believes it does are not. The reality is that on 9/11/2001 it did. It is not in dispute. It can be shown empirically. So if they want to make complete fools of themselves ... to each their own I guess. Sigh ... Looks like this is going to be the 'official' position of P4T. Their latest 'press release' by Cpt'n Bob. Sigh ... Looks like this is going to be the 'official' position of P4T. I hope you're not surprised by this. It is another in the long list of crap, which they've put out. The most recent ones which come to mind are the cockpit door and the radar following UA 93. You'll soon see it quoted as fact coming from the "Professional" Pilots organization. He doesn't care whether it's valid or not as long as it sways a few of the gullible. I ceases to amaze me that some of his "core members" don't speak out in an attempt to quell some of this BS. But, then I realize they're twoofers too and just fall in line like robotic zombies. I hope you're not surprised by this. It is another in the long list of crap, which they've put out. The most recent ones which come to mind are the cockpit door and the radar following UA 93. Last edited by jaydeehess; 28th February 2011 at 11:37 AM. Jaydeehess, I cannot address the capabitilities of the INS system. My reference is to the data it outputs relative to other measurement systems (radar for example). All I can say is that it did make 'corrections'. Whether or not they are automatic or pilot induced, I don't know and will have to defer to pilots such as reheat and beachnut. What I can observe is that rapid changes do impact its accuracy significantly (such as landing/take-off and the 330 turn). When assessed against known references such as radar returns, it does appear to correct itself following such changes when airborne. That is what the data says and that is what I was referring to. We would set the start position and then the APC would drive over open country etc and it could accurately tell where it was even over 10 miles or so. Eventually errors would build up and that accuracy was lost until it was reset. Uncorrected INS systems drift considerably. 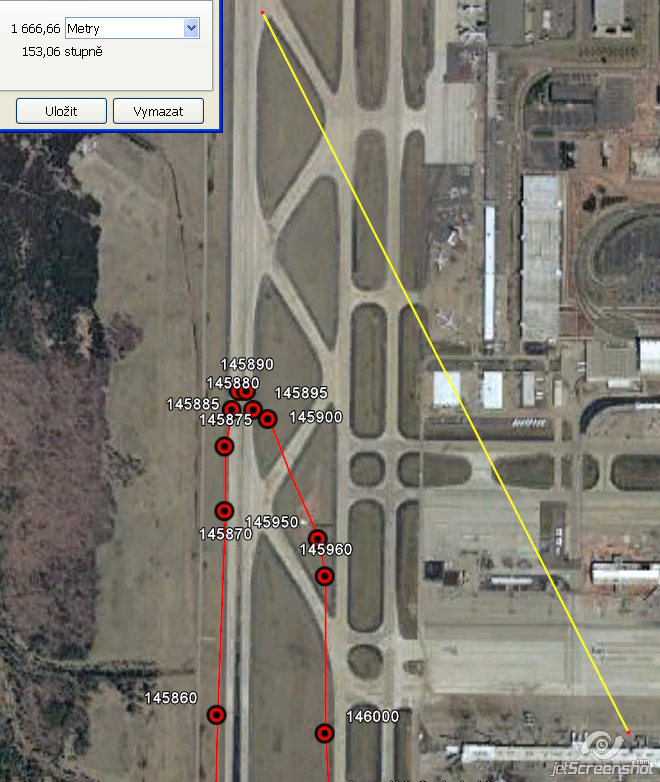 If they are corrected via outside means they provide something in the vicinity of where the aircraft is located. They are not even close to GPS in terms of accuracy. Those in Commercial Aircraft use in early 2000 were cheap and not very accurate at all unless corrected by VOR/DME. Even then they don't compare to the accuracy of even consumer grade GPS systems. 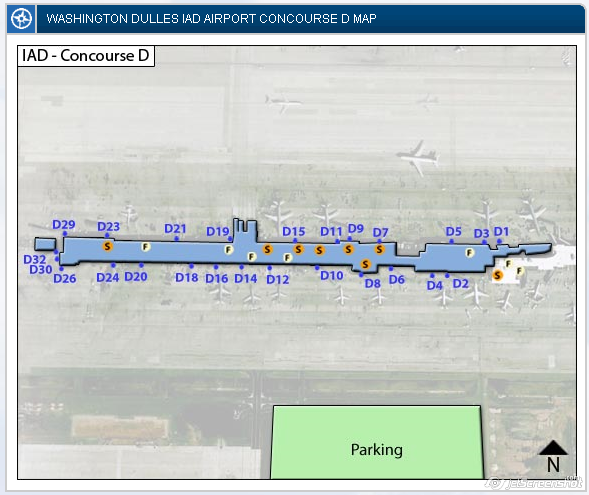 I have never flown out of Dulles as a pilot, so I don't know if VOR/DME reception was available on the ground or not. I would be a guess either way. 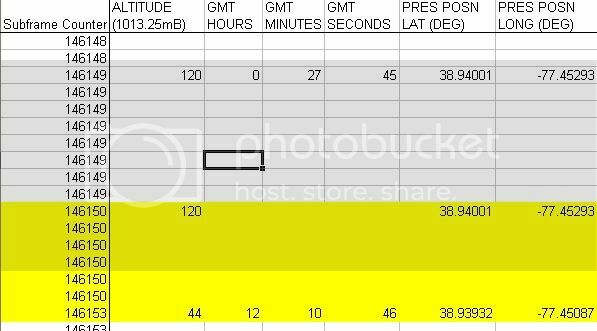 DME is only accurate itself to 0.1 nautical miles (185 meters). "The predictable accuracy of the VOR system is ±1.4°. However, test data indicate that 99.94% of the time a VOR system has less than ±0.35° of error." Yes, since even consumer grade GPS will be accurate to within a few meters it would be more accurate. I could easily see a pilot correcting his INS once at crusing altitude and all major course changes are done but only if its gone out by significantly more than the DME/VOR accuracy itself, if he is using that system to recalibrate the INS. If he had his own personal GPS(there were none installed on the a/c) he could use it but I would think that would be a no-no. Doesn't it have to be an approved instrument before a pilot is allowed to use it, especially on a commercial passenger flight? Didn't PfT make a lot of noise previously about the DME data on the plane saying that it showed the plane was not where the 'official story' put it? I seem to recall them touting DME accuracy until being schooled about it here. 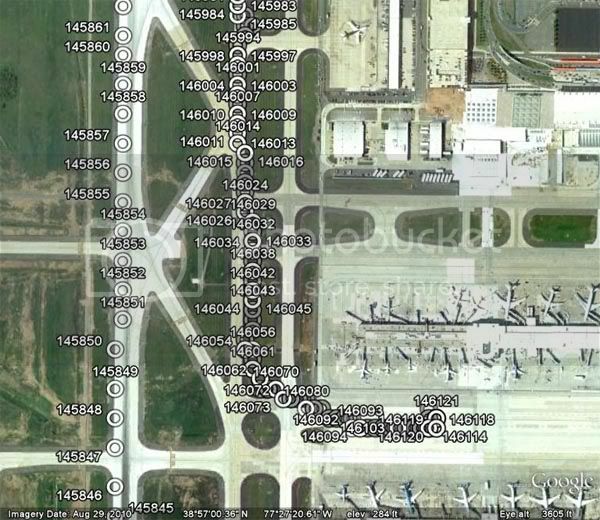 If Dulles has a VOR/DME located on the airfield or within a mile or so then its possible that an accurate VOR/DME reading would be possible(to within the accuracy of that system) while the a/c is taxing. However some VOR/DMEs are several miles from the nearest airfeilds and since VHF is line of sight they would not be picked up on the ground. Last edited by jaydeehess; 28th February 2011 at 04:19 PM. There are multiple sources on 757 Navigation system which say VOR/DME updates the navigation system. Balsamo's failed pilots club denies the INS/FMS updates during flight. Balsamo's pilot experts seem to morons on this point, or Balsamo is making them look stupid. Balsamo is too stupid to take down lies which mislead. Wow, that is some kind of stupid. Looking up information on the FMS system, the navigation system we can find simlar inforamtion that it does update like this. of the airplane position can be obtained. the station on a special display mode on the Electronic Horizontal Situation Indicator (EHSI). I have found this information from different sources. Why are Balsamo's flight experts idiots on this issue? He says these two pilots say not update inflight. Rusty and Rotten, indicative of their information on 911. Wow! http://pilotsfor911truth.org/forum/index.php?act=idx Go sign up and post some truth, you will be insulted by the mods, and your posts will end up in the Debate section, or the bit bucket. Balsamo will brag about how many sign up. Balsamo's list of evidence remains at zero, and that is math, and Balsamo doesn't understand math. This could not be funnier, if you are a pilot/engineer with experience in flying, otherwise the dry information of flying quickly becomes boring, the jargon alone is enough to make it a goal to ignore pilots. We have what can be a confusing reality, we have airspeed which is in KIAS, and when we see 300 knots on the airspeed indicator, but our real speed is 450 knots. Then heading, track, course, and more ways to which Balsamo's ignorance is covered up in piles of technical flying information he can't get right. The INS is updated by VOR/DME stations, and Balsamo's failed pilots on 911 who tell lies, can't figure it out, and one of them claims to have flown 757/767 aircraft; kind of scary a pilot exposes himself as an idiot who can't look it up before supporting the lies of Balsamo. So Beachnut, are you saying that this 'explanation' posted by Cpt'n Bob late this afternoon is horse manure? I wanted to get a bit more insight from Ralph since the last time we spoke about INS/IRS was awhile ago. Just got off the phone with him. Basically, when they realigned the Inertial Reference System aka IRS (It was an IRS in N644AA, not INS), the procedure was to make sure the aircraft was fully stopped and the parking brake set. Ralph emphasized the parking brake had to be set. The aircraft had to be left alone for at least 5 mins. No bumps, no moving, preferably no one moving on board. If this was not done, if the IRS was not aligned and was offset, it is impossible for the aircraft to realign itself in flight and to know where it is. IRS is aligned by Lat/Long position. The actual lat/long is input into the IRS by the pilot and from there laser ringed gyros measure movement from that point. 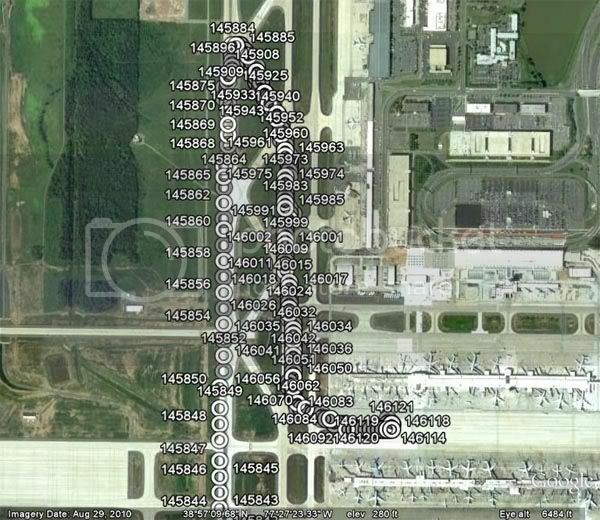 Jeppesen Charts give lat/long coordinates for most Gates at major airports just for this purpose, so pilots can align their IRS during a turn check or first flight of the day. IRS cannot determine precise location of the aircraft if the IRS was not aligned prior to flight. Now since we know this, the lat/long plots can be adjusted for the offset after the fact as the IRS measures from whatever point (Lat/Long) it thinks it is at. Which is what we did above. The Lat/Long shows that this aircraft did not come from Gate D26. Since the aircraft needs an actual lat/long plot input into the IRS and left uninterrupted for at least 5 mins, there is no possible way this aircraft could have realigned itself in flight. Since some have claimed the aircraft lat/long realigned itself shortly after take-off, it highly suggests data manipulation. Now for you average folks out there who are baffled by all this, the INS coordinates begin to align in flight shortly after take-off with radar reported positions. So who to believe? Cpt'n Bob or Beachnut? I'll have to think about this one for awhile ... so confused. Last edited by BCR; 28th February 2011 at 05:17 PM. Oh my, he did it again when he left Orlando headed back to O'hare in flight 3. How could the pilot forget to turn those dials before taking off? This is just horrible I tell you. With the data you have you can see the relative accuracy of the INS/FMS. It is sad Ralph Kolstad has no idea how the system works, and it can be updated in-flight. No wonder he is called Rotten. Once I googled "Ralph “Rotten” Kolstad" and found he had prior to 911 already had a problem with the Feds. He refused to pay federal incomes on the basis IIRC that it was unconstitutional........not surprisingly, he lost. He likely is lying in an attempt to get "even" with the evil Gov. Kolstad is a former Navy F-4 and F-14 pilot. In a community where reputation is everything, his name is absolute trash in the F-14/Navy fighter world. Several issues need to be clarified before this gets too far along. First of all, as I said previously it is foolish to attempt to establish a precise position at Dulles with this IRU. Based on John's plots it was approximately 1000' or more off in all of the ground scenarios. IIRC, it was off by about 2000' at Take-off from Dulles. I used INS systems for years, but they were high quality, filtered, accurate units, not these tinky dink system in use by the Airlines. So, I know a little about INS and it's use. I have not used these rinky dink units, so my familiarity with them is superficial. What Kolstad said was that these systems would not become more accurate during flight UNLESS they were ALIGNED prior to the first flight at the gate. The *KEY WORD* here is ALIGN. This is different from an update. If this is true then, quite obviously, the system was aligned even tho' it was inaccurate and it became more accurate during flight as it received updates. I do not know the accuracy of Kolstad's statements as the INS's with which I'm familiar were capable of in-flight alignment. An INS needs about 10-15 minutes to align the gyros when it wakes up and everything starts spinning. (elec power applied) It must be told where it's located with coordinate inputs by one of the pilots. Then it's needs 10'+ plus before it's ready to navigate. The Airlines didn't/don't use INS for much of anything except to determine which hemisphere they're located in. Instrument Clearances all reference VOR/DME in the vast majority of cases. In other words, the route of flight clearance is via Airways and Jet Routes which are defined by VOR/DME, except in a few rare cases. As a result, the INS is not a particularly important piece of equipment. The type of update these units receive is quite important for accuracy. Triangulation between the two VOR/DME units works better if the VORs are located at 90 degrees to one another. Obviously, on the ground only 1 station (if even that) would be received resulting in less accurate updates. It may not even accept updates on the ground depending on the circuitry. There may have been maintenance issues with this particular IRU in AA 77 or it might have been only partially aligned. Perhaps examining the data from more flights will tell a more complete story. In the meantime, quite obviously, we should not accept the word of either Balsamo or Kolstad with regard to how the system works. I just checked the P4T 'news' thread and they are all beside themselves this morning. Rob, I've scoured through some work over the years regarding 9/11 and I think this is the first time I've ever been left staring at a computer screen speechless all night. Not because I haven't seen more impressive sleuthing or presentations (both from CIT and this forum) but because of the simplicity and raw in your face undeniability that the FDR was manipulated and/or didn't come from "Flight 77". Of course that is Cpt'n Bob's sock-puppet, but others are weighing in as well. Wow, this is very interesting. Excellent work. home run, or atleast a triple. The sad part about a biased study is that you get people to focus on one segment of data. In Cpt'n Bob's case, just don't mention that you have the same anomaly with every other recorded take-off and landing. 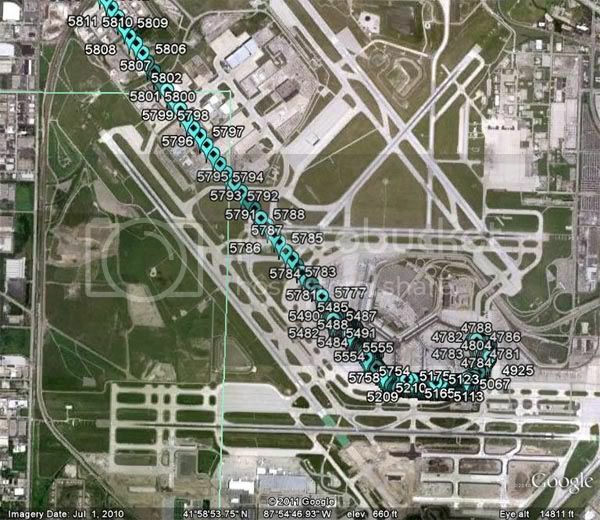 As shown in an image above, if you take the data on the ground literally, the plane taxied over the roof of the terminal at O'Hare. Just in case anyone needs them, here are the kmz files that I have created from Warren's data thus far. Last edited by BCR; 1st March 2011 at 07:54 AM. He isn't a member of either Society, but he has been discussed more than once. My boss told me to stop procrastinating. I think I will… tomorrow. I was a ground nav equipment tech so avionics was not my baliwick. However in courses on the functioning of DME, VOR, ILS and other ground equipment we of course had to know what the aircraft was doinmg with the signals top/from the equioment we were responsible for. It is from those course that I recalled that the VOR/DME was used to correct INS systems in flight. Since that was in 1980's I was pretty sure that it was possible in 2001. We did not have the particulars on how this was accomlpished and I had assumed the pilot himself made the adjustments. The above info seems to say that its automatic and certainly I see no reason why that cannot be the case. If the INS samples the VOR position data it could electronically correct its lat/long to agree with the more accurate input. On the ground, absent multiple VOR inputs then entering published lat/long would be in order certainly. However if the system is capable of a self correction a few minutes after take off when it can get two VOR inputs why would a pilot bother entering the published lat/long at the gate? Its not like he's going to need the INS in order to find the taxiway or runway button! 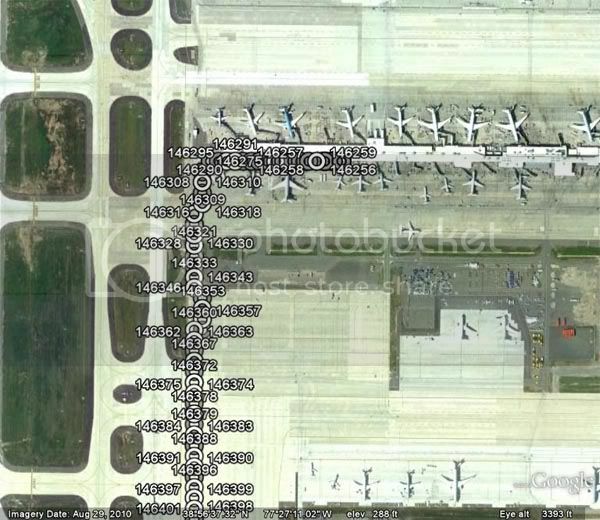 As shown in an image above, if you take the data on the ground literally, the plane taxied over the roof of the terminal at O'Hare. That would explain why they require passengers to wear seatbelts while taxiing. Maybe this will clear up any confusion which gate ("Dixie 26") AAL77 departed from. Okay, maybe here it will, but I can hear the crying already from other parts of the internet. Last edited by BCR; 1st March 2011 at 05:22 PM. I'm about % 95 certain they update automatically. If these are similar to the ones I've used the unit DOES NOT accept % 100 of the update, so it's not totally self correcting immediately. The updates are primarily to control drift, not necessarily to tell the unit it's exact position. However, over time it will get closer and closer to it's exact position if it's operating properly. It's not just a reliability issue, it's how the entire Navigational System is structured. The Airways/Jet Route system ALL OVER THE WORLD is based on conventional VOR/DME Nav Aids (some NDB's in Canada), period. There are RNAV routes and RNAV approaches, but are only used if the aircraft is capable. They are not required. Let's use an example of an aircraft going from JFK to LAX. The clearance would be via Jet Routes from JFK to LAX, however (after the aircraft is airborne) if NY Center sees that the route/altitude is clear to the west he might clear the aircraft INS direct LAX. Any subsequent controller to the West could put the aircraft back on Jet Routes or they could continue the direct clearance allowing the aircraft to proceed under it's own navigation. More commonly, it's the latter. Uh John, How dare you post a fake radio call. I guess we can forgive you this one time as the FDR is also fake anyway. Well, the parts that certain elements don't like and that disagrees with their delusions are fake. The other parts are valid tho' depending on the pressure and humidity as long as it supports the delusions of fools. Of course CIT could always go do an interview with Tavino and see if they can get him to 'confess' that the plane actually departed D9/11. Last edited by BCR; 1st March 2011 at 05:55 PM. [pfffft]But, but, he didn't specify the gate # of the aircraft. [/pfffft] 9/11 was an inside job. You called it Reheat ... here is Cpt'n Bob's response on the Youtube video. What is "Dixie 26"? Clearly whoever made that tape is not familiar with the Aviation Phonetic Alphabet as "D" is Delta. Perhaps it was made by someone more familiar with "Cop Talk". By the way, when pushing off a gate, aircraft contact ramp control first, not Ground control. Oh well, I guess a pretty picture of a plane taxiing across grass and a construction site trumps as-it-happened audio. Last edited by BCR; 1st March 2011 at 06:24 PM. When I used to work at a small FBO here in Missouri, the state would fly in the then governor John Ashcroft and the pilot would always say one-hundred-Sugar-Mike instead of one-hundred-Sierra-Mike. It's not uncommon for a pilot to deviate from the phonetic alphabet. Rob truly is a clown.